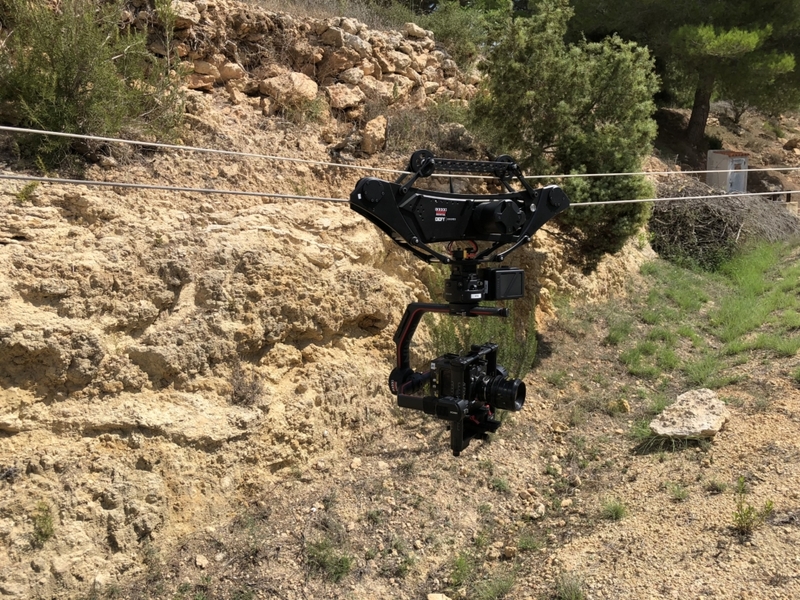 Our Ibiza Cablecam System is a professional tool for any filmmaker who wants to get more from his footage. 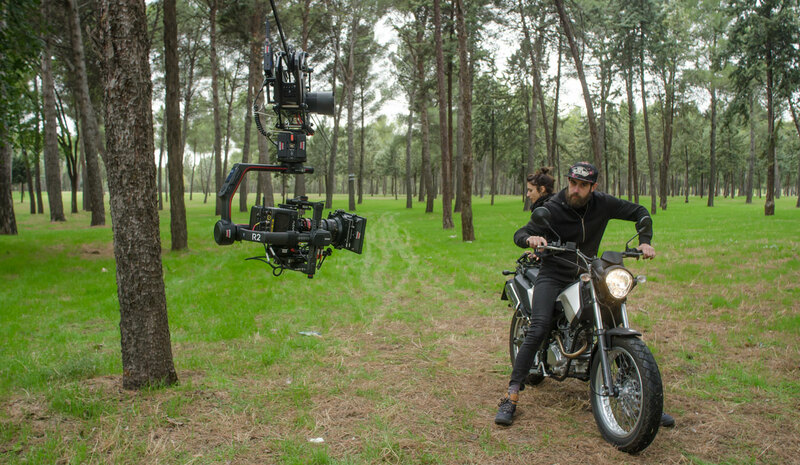 Short set-up/dismantling times ensure flexibility and spontaneity at the shooting location. 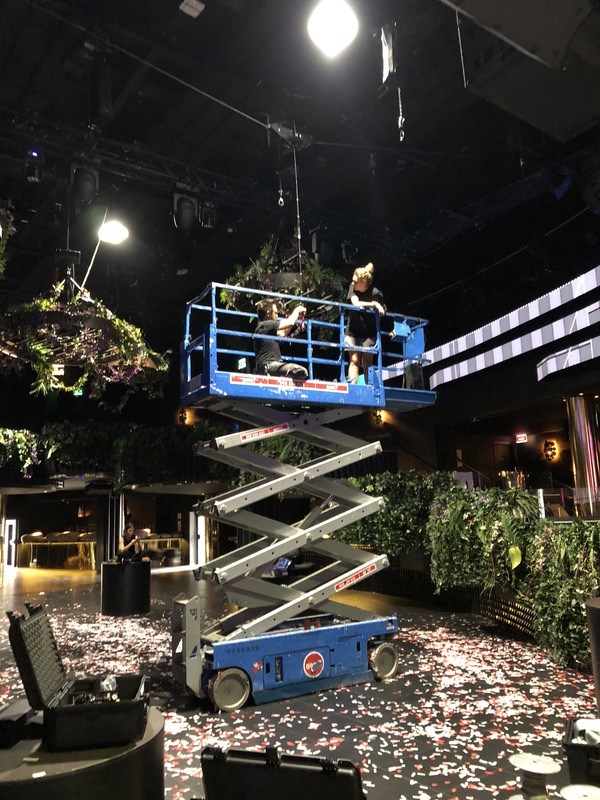 ​Our System can be used not only for the cinematic area, it can be also used for live production at concerts, sport events and many more. 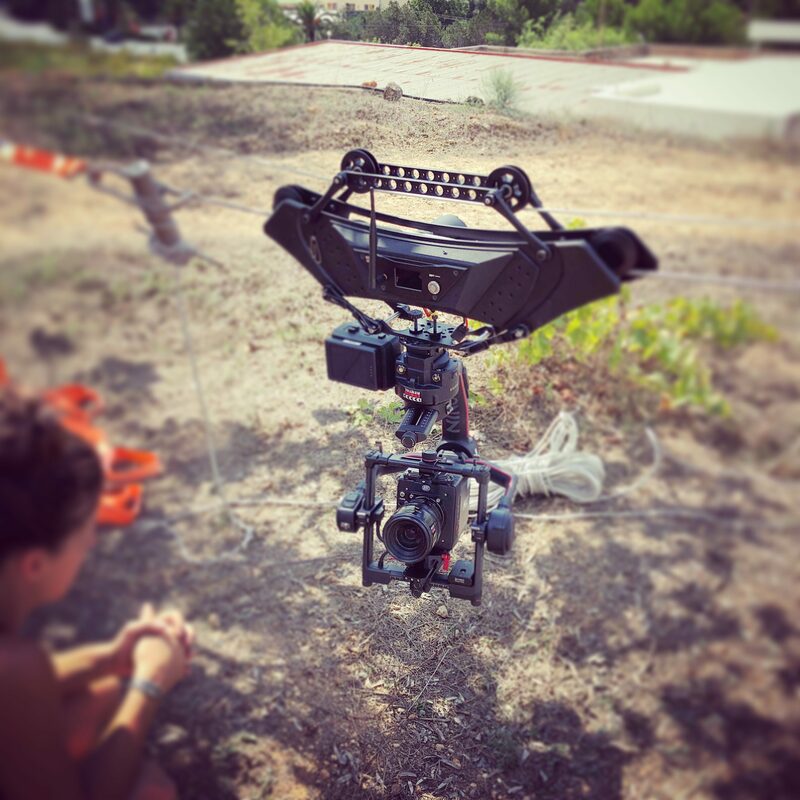 We use Ronin 2 and Movi PRO Gimbals to assure perfect footage. Finally. 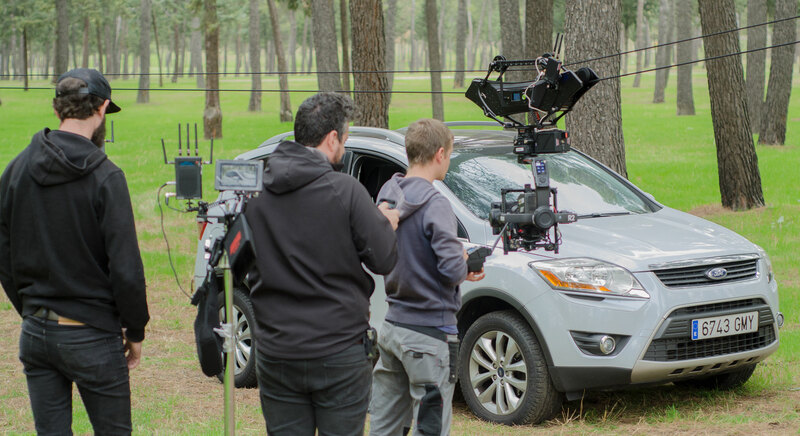 A professional cablecam that is smart, safe, and simple enough for a single operator to take anywhere. 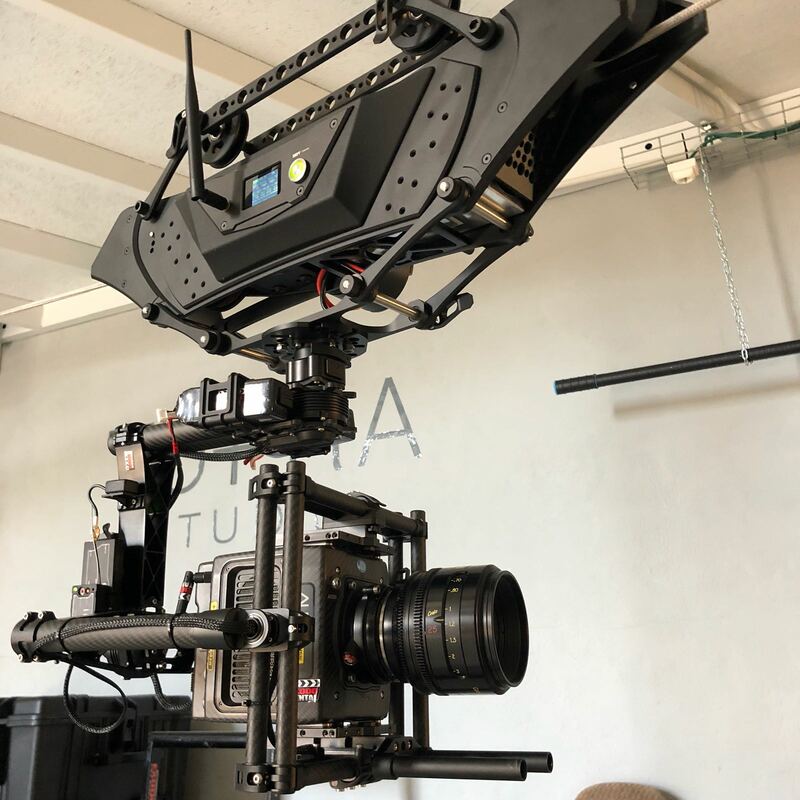 The Cadence has the power to carry any handheld gimbal and the brains to have full autonomous control with incredibly accurate end-stop, acceleration, braking, and active traction control. Using the included Pulse controller, operators get a continuous real time display of all the important data to keep your eyes on the shot. 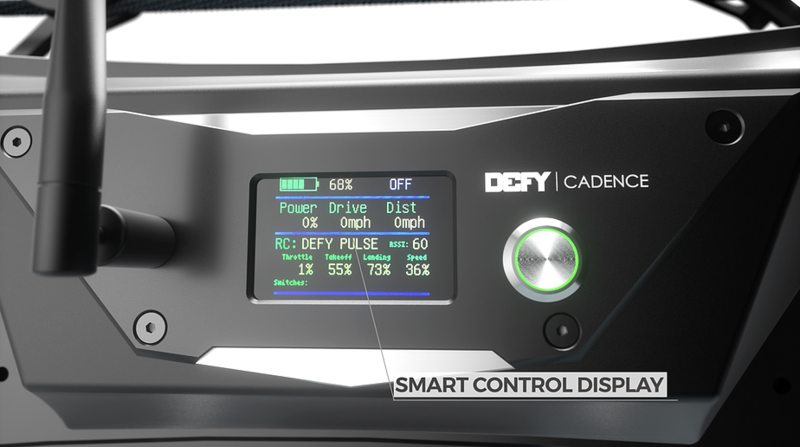 The custom Pulse controller is what makes the Cadence such a special machine. 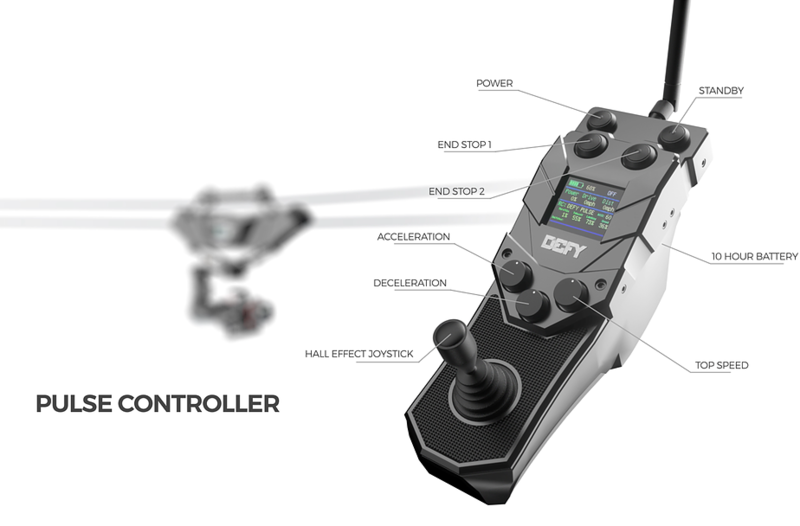 Full programmability from an ergonomic wireless handheld controller providing full realtime data of position on the line, speed, battery voltage, motor temperature and tons of user configurations…. all with a 10 hour battery life. 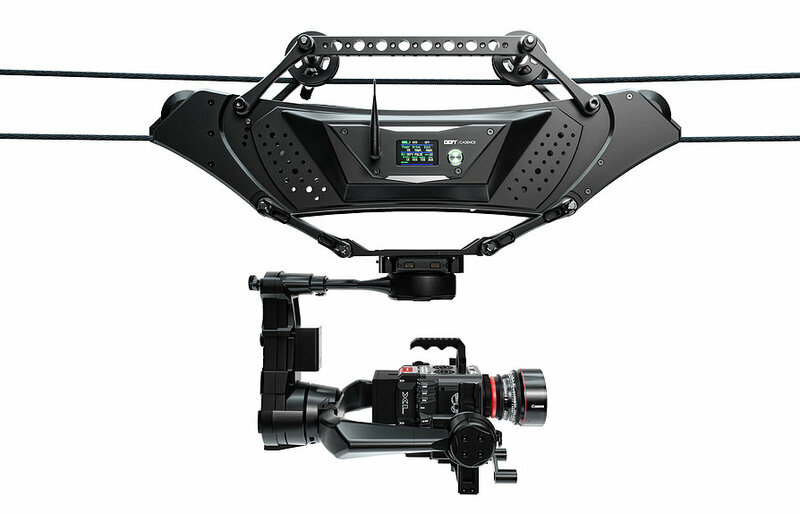 The Smartest most capable lightweight cablecam system available. 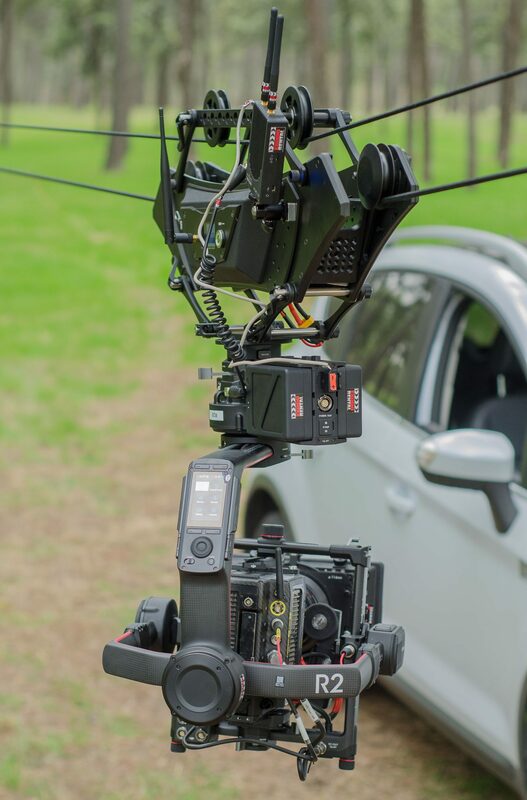 Half the size and weight of our Dactylcam Pro, this little guy packs a punch and still fits in a single case. Accurate autonomous control of programmed stops and user customization of speed, braking and ramping. The digital displays on both the sled and Pulse controller provide realtime data and overall system health. The internal RF is built around a 915mhz (for U.S), 868mhz (for EU) for excellent long range control and data transmission. 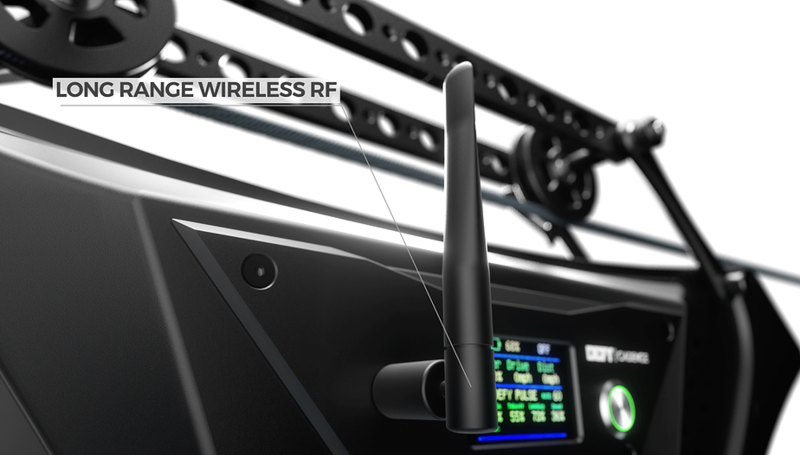 Robust enough for heavy RF environments, the Cadence fits in with even the toughest crowds. 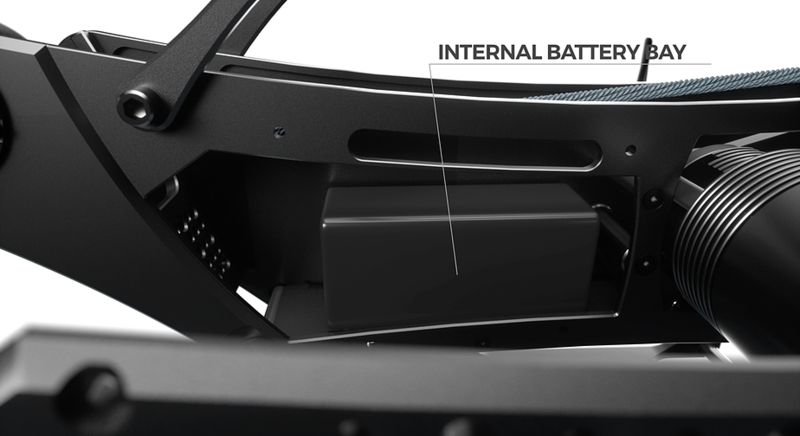 The Cadence gets its fuel from a custom 12ah Li-Ion high output 24v battery pushing the sled up to 30mph. Nestled and secured inside the sled keeping the entire system safe and free from nasty cables hanging around.